WASHINGTON, D.C. — Is it the tick of Earth’s heartbeat, or a ticking time bomb? 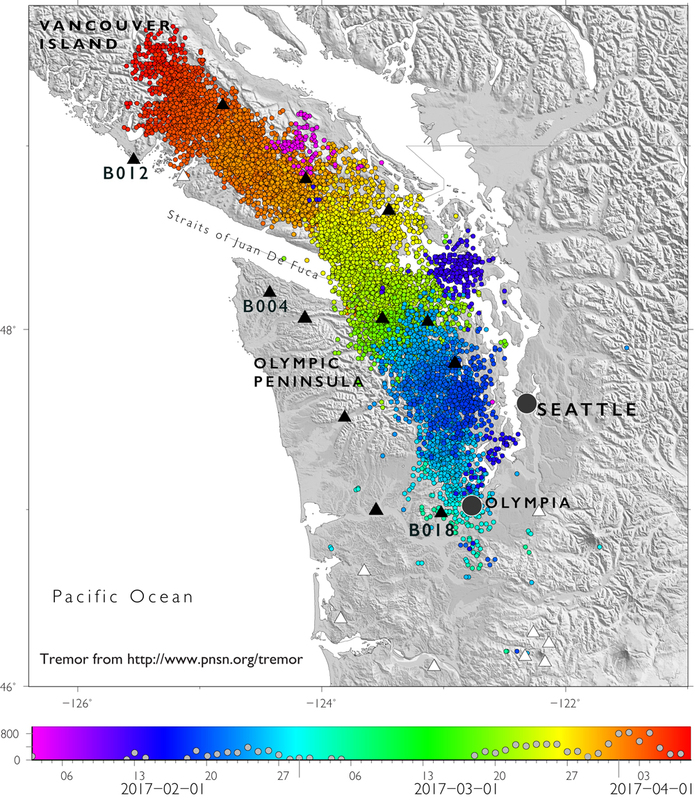 Either way, instruments that monitor a 14-month pattern in seismic activity could serve as an super-early warning system for the “Really Big One,” the massive earthquake that’s expected to hit the Pacific Northwest sometime in the next few centuries. This entry was posted in GeekWire and tagged AAAS, Earthquakes, Science, Seismology. Bookmark the permalink.